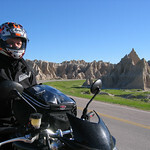 Inspired by reading a post on hellforleathermagazine.com, I dug out some photographs from Badlands National Park in South Dakota. 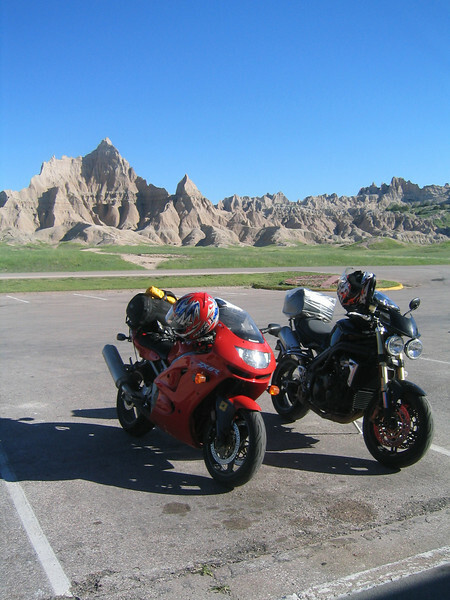 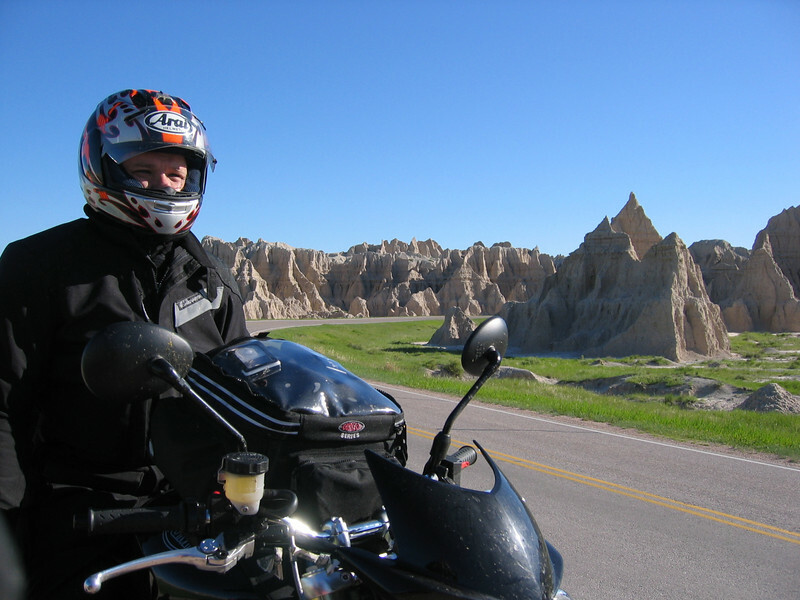 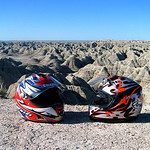 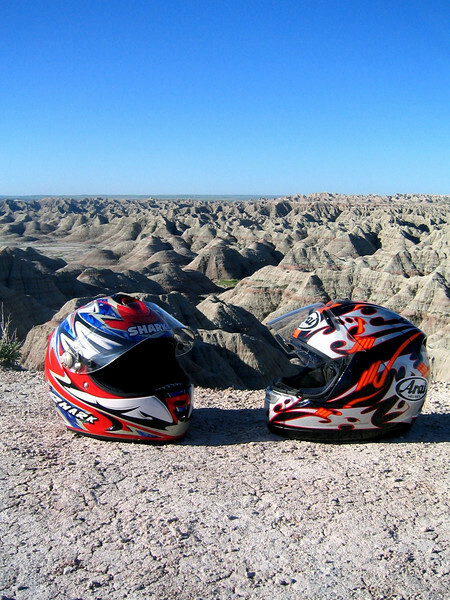 In May of 2005, Kenny and I rode from New York with the intention of visiting Mount Rushmore. 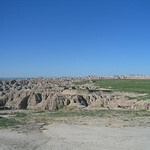 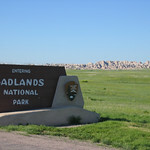 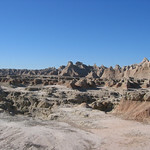 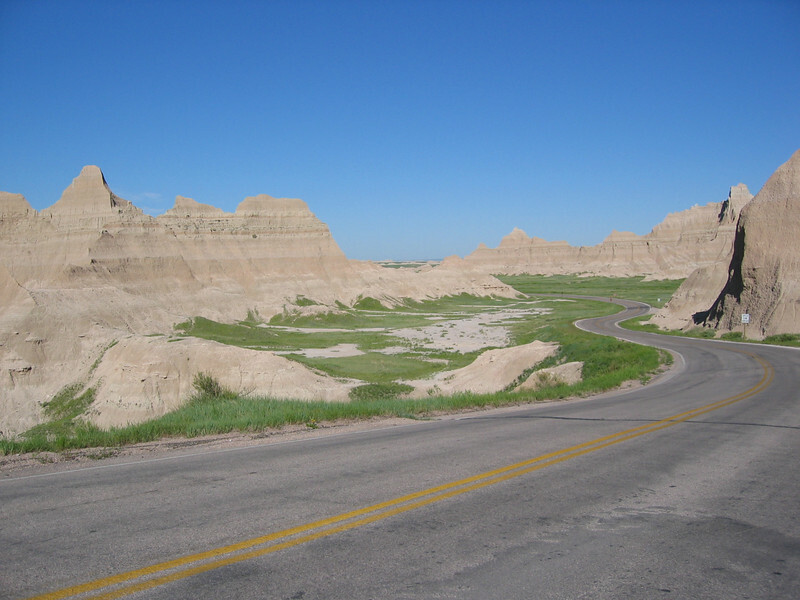 One of the stops that we simply had to make on the way was Badlands National Park. 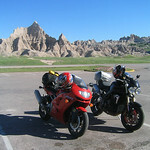 Kenny was piloting his 3 week old Triumph Speed Triple and I rode out on my old 98’ ZX6R. 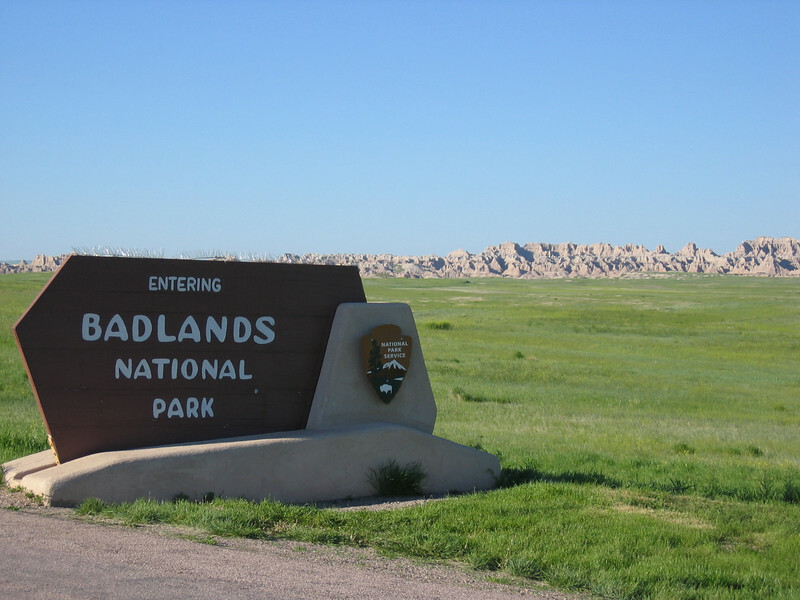 Even if you view photographs prior to visiting Badlands Park, you will be unprepared for the sights that unfold in front of you. 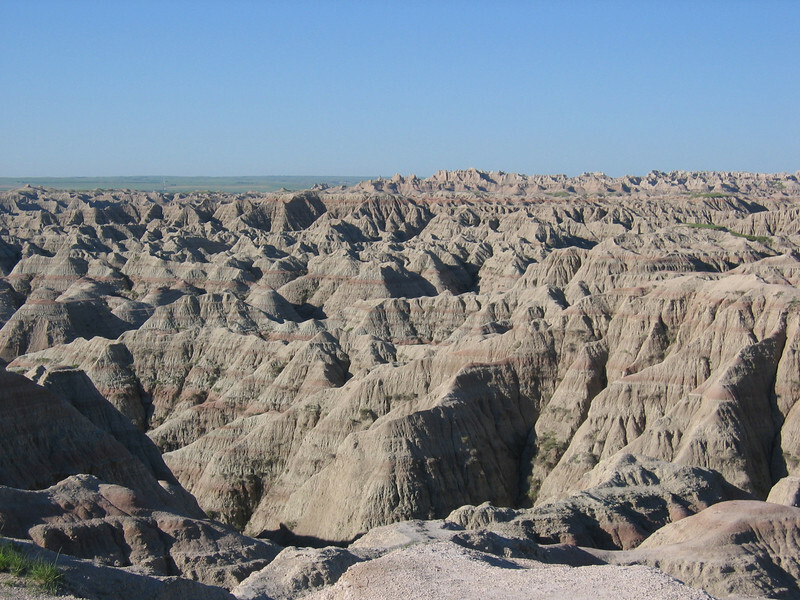 Some things just require your physical presence to understand the magnitude of them. 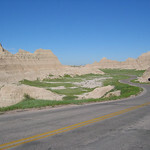 The landscape is so unlike anything I’d ever seen before or since. 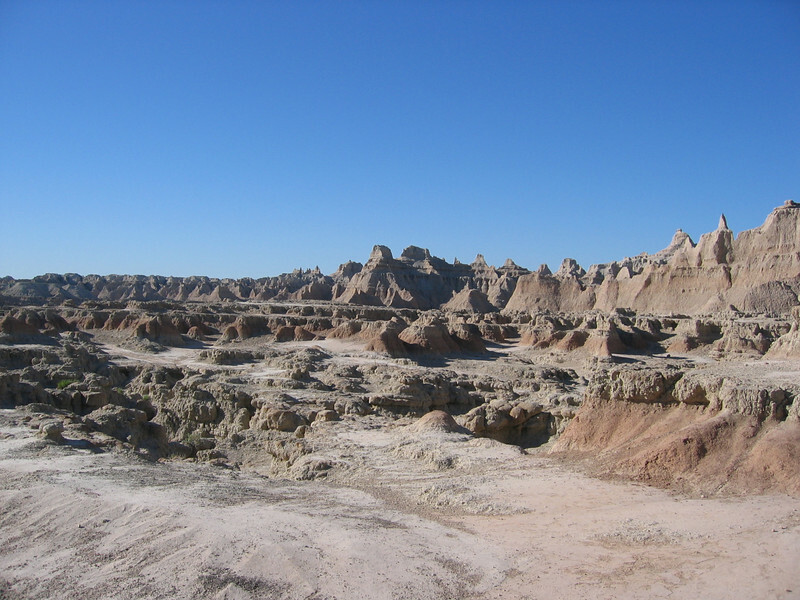 Though these mountain formations have stood for thousands of years, they give the appearance of being as fragile as dollops of meringue. 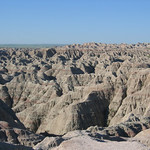 I got the distinct sensation that if you touched them they would crumble into a mound like a sandcastle. 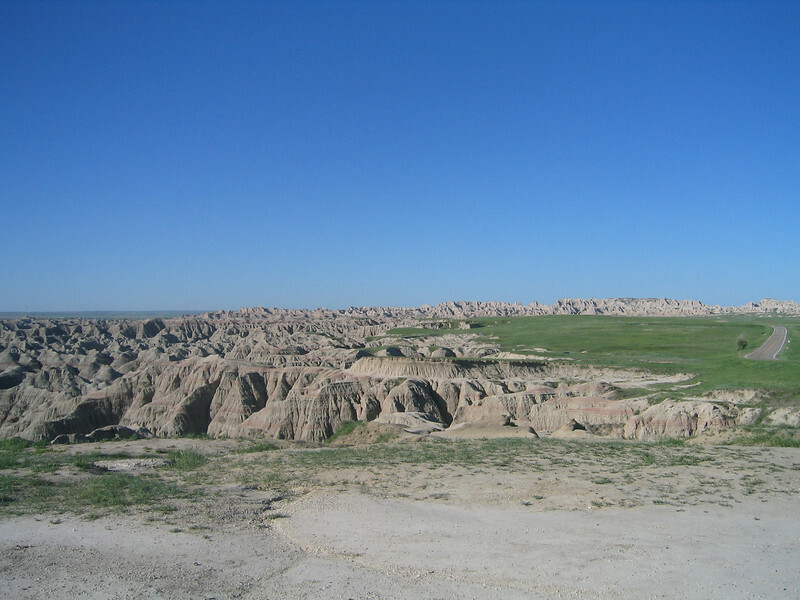 The park is nothing short of beautifully fascinating.